This week’s program began with two sets of fantastic ska which started with a cut from the virtually unknown artist named “Pulus” with a track entitled “Sow To Reap” for Merritone in 1966. Thanks again to the good folks at Dub Store in Japan for finding and pressing these lost tapes from the Merritone vaults. I hope that there is only more lurking somewhere to be released soon. After a brisk mento set, we launched into the sounds of vocal group extraordinaire, The Cables. The Cables are Vincent Stoddard, Elbert Stewart and Keble Drummond. Named after a modified spelling of Keble’s own name into The Cables, which he felt was a right name because cables could send a message to the world. 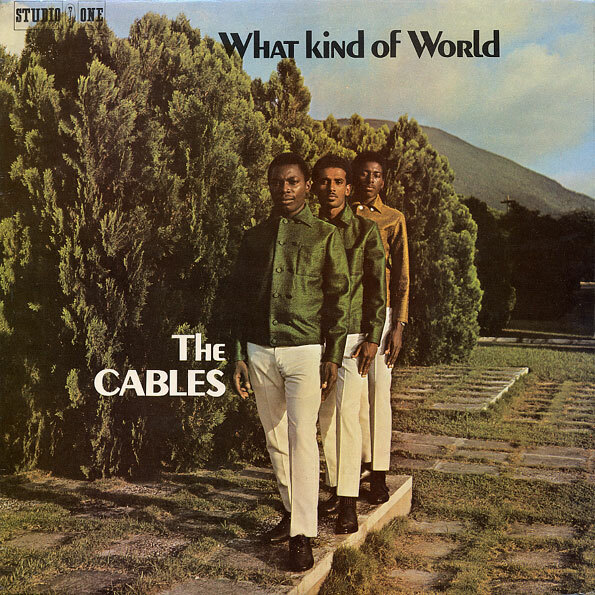 Born in St. Elizabeth, The Cables’ frontman Keble Drummond moved to Kingston as a child and grew up in the dire neighborhoods that would produce some of Jamaica’s greatest talent. Spending most of his adolescent years in Ghost Town, Drummond interacted with some of Jamaica’s greatest talents including Rita Marley, who lived in Ghost Town as well. Drummond attended Chetola Park School and then Kingston Senior School, a school that produced the great talents of Earl Morgan from the Heptones and Marcia Griffiths, so music was not a surprising path for him. Growing up in neighborhoods where musicians were often performing, Keble began to interact and sing with local groups. Eventually, Kebel met Peter Austin of the Clarendonians who taught him his first guitar chords. Keble then saw a flyer for Herb Moral Song Studio Training, and he attended a song writing course. In this course, he wrote his first song, “You Lied,” which would be the first track he would record with The Cables for Linden Pottinger’s SEP label, the track that begun our hour long spotlight on this phenomenal vocal group. It’s a bit of a coincidence that the last of the Cables is called “You Betrayed Me.” The Cables would stop working with the Pottingers because they did not receive payment for their recordings, which had gone directly to Bobby Aitken and his band, who was the backing band for many of the tracks on the SEP label. After leaving the Pottingers, The Cables traveled over to Coxone Dodd to record for his labels. At Studio One, The Cables had to audition for Jackie Mittoo, who at first pushed off the group, but after a bit of a yelling scuffle, finally gave the group a chance to record. We then played The Cables’ Studio One output next. One of their most popular tracks, “Baby Why” was written about a failed relationship with one of his Keble’s girlfriends who moved from the country to the city to try to start a new life with him. As with many Jamaican artists, The Cables did not have great financial success or luck with Coxsone. Consequently, when an up-and-coming Harry Johnson (Harry J) met The Cables as he was transitioning out of insurance sales and into the recording industry, the group took the opportunity to go over to the Harry J and show him how to record while they were still on contract with Coxone. With Harry J, Keble developed a friendship with him, and their closeness is definitely reflected in the music because the Harry J cuts are some of the strongest Cables’ recordings. When Harry J did not have his own recording studio, his recording sessions happened at Dynamic, so it is natural that The Cables would also record for the Dynamic label, except with Syd Bucknor at the Producer helm. In following the trend of befriending his producers, Keble and the Cables were also close to Hugh Madden, who Keble still visits in Jamaica . Thankfully, the Cables perform to this day. Listen to the full program with The Cables smooth vocals sounds: HERE. Prior to the preparation for this week’s show, we were informed of the sad news of King Sporty’s passing. Consequently, this past week’s show featured a memorial on the great DJ who would emerge as an amazing songwriter and producer. To begin the show, we began with two sets of rocksteady, including never-before-played tracks from The Merritone Singers and Victor Morris. We then heard mento from Count Owen, Lord Foodos, and Charlie Binger prior to a set of ska to precede King Sporty’s early ska toasting tracks. King Sporty passed at the age of 71 in Miami on January 5th. Born as Noel G. Williams, King Sporty began his career in Jamaican music as one of Coxone Dodd’s DJs for his soundsystem. In Jamaica, King Sporty would record for Coxone and for Justin Yap prior to his move to Miami in 1968. Upon his move and work in America, King Sporty would transition his writing and production into soul and disco. However,we will focus this spotlight on King Sporty’s own tracks in ska and reggae before he gained popularity in the world music arena. We will pay honor to the great talents of King Sporty in an one hour tribute of his best DJ recordings, beginning with his first vocal toasting track in ska named El Cid, which was released on Justin Yap’s Top Deck label. In Miami, King Sporty opened up his labels, Tashamba and Konduko, allowing him to write, produce, and release his own recordings and those of artists he liked. During this time in Miami, King Sporty would become very close to the Miami soul scene, distributing records from his label through Henry Stone, the king of the Miami’s T.K. Records. Sporty also married Betty Wright, T.K. Records’ leading soul lady. One of the tracks that King Sporty sold to Henry Stone was one from Lily’s favorite Glades/T.K. Records artists, Timmy Thomas. In fact, King Sporty had discovered Timmy Thomas’s “Why Can’t We Live Together” and brought the track to Henry Stone’s door. Stone purchased it from Sporty immediately and pressed it on his Glades label in 1972. 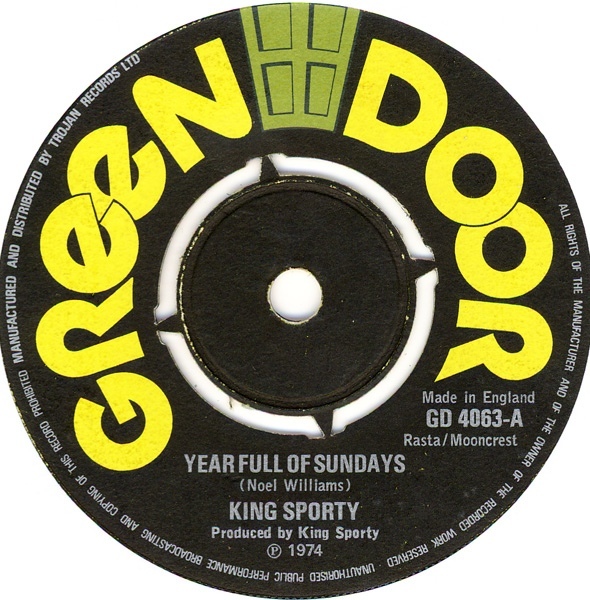 The Timmy Thomas track gained traction on the American charts, and this would be one of King Sporty’s most successful discoveries within the Miami soul world. Listen to the full program with King Sporty’s stellar recordings in ska, reggae, and even soul HERE. Enjoy! The archive will be available until 1/27/2015. For this past week’s edition of the Bovine Ska and Rocksteady, we kicked off the show with a newly unearthed Justin Hinds and the Dominoes ska track entitled, “Verona.” Then, in order to make sure that all genres were covered, the program progressed from ska to mento to the rocksteady, with recordings from Winston and Bibby, Clyde Hoyte, Tomorrow’s Children, and The Lyrics before all of the reggae featured in our hour long spotlight on the early recordings of Gregory Isaacs. Gregory Isaacs is a singer who gained great popularity during his early career, so much so that he was even signed to a record contract with Virgin Records in his later career. Admittedly, the Bovine Ska and Rocksteady has not featured Isaacs as a spotlight because his most popular tracks are ones that stylistically do not fit in the time frame that we like to focus this show on. However, we were able to find some of Isaacs’s first recordings, and they were perfect for this artist spotlight. Born in Fletcher’s Land, Kingston, Gregory Isaacs was raised by his mother near Denham Town. Attracted to music through his own mother’s singing as she ironed, as a teenager, Isaacs began competing in talent shows and showcasing his voice, occasionally even performing duets with his brother Sylvester. 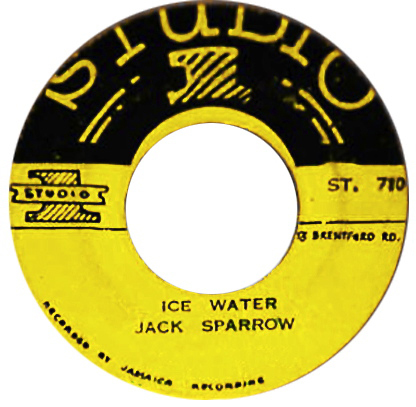 A duet with another artist, Winston Sinclair, from his neighborhood would be Isaacs’s first recording in the Jamaican music industry. This duet track, “Another Heartache,” did not gain a ton of success, and Isaacs went on to join The Concords with two men known as Penroe and Bramwell. The group was short lived, but they produced some really beautiful recordings. After beginning his music career working with other singers, Isaacs eventually decided to become a solo artist, continuing to work with Rupie Edwards, who worked with The Concords and would be a continuing collaborator throughout Isaacs’s career. In 1973, Isaacs scored his first hit with the Phil Pratt produced track, “All I Have is Love.” After that success, he would jump to other producers including Leonard Chin, Alvin Ranglin, and Sydney Crooks, with Isaacs scoring a number one hit on the Jamaican charts with “Love is Overdue,” a single recorded for Alvin Ranglin’s GG label. And with the success seen in 1973 and 1974, Isaacs’s career would propel in the coming years. In 1973, Gregory Isaacs teamed up with Errol Dunkley to create the African Museum record label and shop. Here, Isaacs would write, record, and produce his own tracks, with the earliest African Museum releases exploring more of a roots reggae sound. After a long battle with lung cancer, Isaacs died on 25 October 2010 at his home in south London. As a testament to his fame and popularity, a memorial service was held on November at Kingston’s National Indoor Sports Centre, including a musical tribute from artists including Lloyd Parks and We the People Band, Ken Boothe, Freddie McGregor, Shaggy, Judy Mowatt, The Tamlins, and Bongo Herman, before his remains were interred at the Dovecot Cemetery. This spotlight on Gregory Isaacs features his earliest recordings and follows his early progress and growth as a singer, songwriter, and producer, giving honor to his great talent as a young musician. This edition of the Bovine Ska and Rocksteady is available until 1/20/2014. Enjoy!